Joe Payne was the very first vendor my husband and I selected for our wedding and engagement photography. We found him after I saw the breath-taking wedding photos from a recently wed friend on Facebook. After stalking, I mean admiring her photos, I contacted her about her photographer and she gave a glowing review. Right away, we got in touch with Joe and were immediately impressed by his creative vision, responsiveness, and endearing British accent. We had the pleasure of working with Joe for three events — our engagement shoot, rehearsal brunch, and of course, our wedding. Joe went above and beyond to exceed our expectations every time! Take our engagement shoot, as an example. My husband and I knew we wanted to take pictures at Duke University, our alma mater — but that was where our vision ended. Luckily, Joe helped us find unique and beautiful locations across the campus and Sarah P Duke Gardens, suggested poses, and overall helped two camera-shy people feel super comfortable. We didn’t have to think about a thing during our shoot besides having fun. Joe is a great photographer…his work really does speak for itself. One thing that’s not as apparent from his photographs is his awesome attitude. Joe is so patient and thoughtful. This was key for photographing our large wedding with two large sets of families. Despite all the craziness that comes with a 200 person wedding, Joe made sure to capture all the special moments with all of our special people. It was even Joe’s idea to whisk my husband and I to a park near our venue to get some really beautiful pictures of us in an intimate setting — some of my favorite pictures of the day. When we got our edited photos back after only a few short weeks, it felt like Christmas! As we viewed our pictures, we smiled, laughed, cried, and cheered. 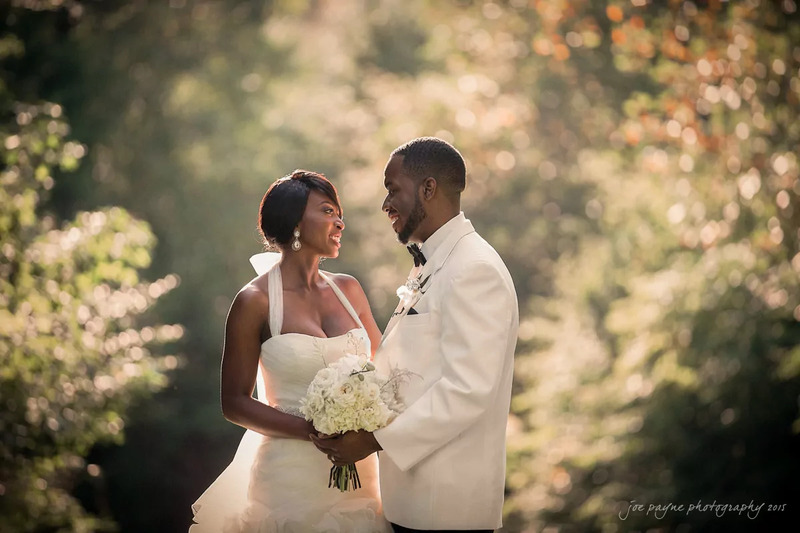 Joe really captured the “soul” of our day with his photo journalistic style and allowed us to relive our wedding. In short, hire this man — you won’t regret it!